While much of the discussion around 5G is a heavyweight slog through business-to-business applications, there’s a lot fun to be had imagining what the combined developments in high-speed networks and machine vision can do for future media, information, and entertainment. We are at the low foothills of Ready Player One scenarios in which the online world merges with the real. Few companies are as ambitious with this vision of virtual and physical interaction as Magic Leap. Speaking at MWC2019, Omar Khan, chief product officer, said he prefers to use the term “physical” rather than “real” world to describe what his company is up to. The Magic Leap One goggles are, in his words, “a spatial computing device” which among other things will “unbox the web”. That’s shorthand for taking current two-dimensional web pages and turning them into 3D virtual objects or environments. “There’s no reason not to turn the streets of your city into Gotham,” he said. The makers of AR game phenomenon Pokémon Go said they had purposely set out to get kids off the sofa and to play in the real world—albeit through the lens of a mobile screen. He claimed that Pokémon Go players have collectively walked over 22 billion kilometres while playing the game—the distance the earth travels around the sun over the course of 21 years. Niantic hopes for more of the same mass participation when it launches its Harry Potter-themed AR title later this year. Clues about the tech that has gone into Harry Potter: Wizards Unite can be deduced from Neon, a real-time multiplayer virtual dodgeball game Niantic introduced in prototype last year. Niantic is also using machine learning to determine the depth of every pixel in a video frame, then using that to make virtual objects run behind real objects in real-time. The processing for this, Keslin said, is done almost entirely on the device. Immersive storytelling is the bread and butter of RYOT Lab, Verizon’s innovation hub for emerging technologies. RYOT has built a 5G-networked studio where, among other things, it has trialled instant motion capture—the immediate translation of performance captured live into animation. RYOT is also experimenting with holography. Subjects are captured in 3D volumetric video and viewable by a third-party wearing a HoloLens. Melling’s example was bringing together a U.S. customs agent with an immigrant for the better understanding of both. The Tokyo Olympics in summer 2020 will be a showcase for 5G technologies, including their use in multi-camera video contribution links and 8K virtual reality—planned as live streams by telco NTT Docomo. She used the occasion to launch the HTC 5G Hub—an entertainment device running Android 9.0 Pie which also acts as a smart display and 5G hotspot for up to 20 users. It houses a Qualcomm Snapdragon 855 processor and enables low-latency gaming and 4K video streaming (though the Hub’s own screen is strangely 720x1280). Compatible with the Sprint network, the device will likely run on other networks in the future. It is expected to integrate with Google Assistant. 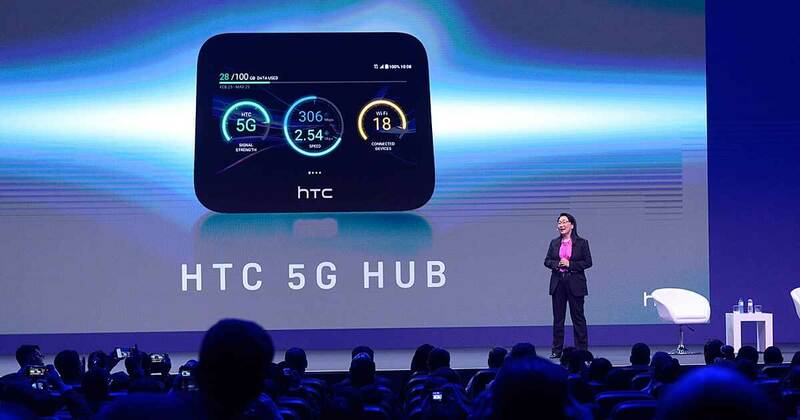 Photo: HTC founder and CEO Cher Wang introduced the HTC 5G Hub at MWC2019. The experts at Mobile World Congress were certain 5G will change the world and weren't shy about making exaggerating claims. But how much is hype and hot air? 5G's massive cost outlay is a concern for mobile operators, while Liberty Media's boss says increases in broadband speeds will feed a growing demand for content. 5G networking is being phased in and will be transformative to society. 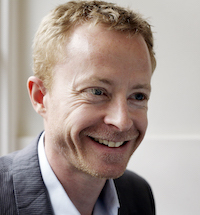 But operators are already looking to its successor, theorizing plans for far-faster 6G. VR and 360° video has all of the compression-related issues of flat video, and then some. Facebook's new metrics, called SSIM360 and 360QVM, might simplify quality analysis for developers in the future, particularly if Facebook open sources the metrics. Streaming Video Alliance's Jason Thibeault, Wowza's Chris Michaels, and Neulion's Jim Clements discuss what content owners can do today, strategically and technically, to make VR viable in the consumer entertainment space. Snap Inc. has dropped between $30 million and $40 million on an Israeli augmented reality company, but the real prize might be the company founders.